The Chevrolet company has had several banner years during its existence. These milestones often include at least one of their cars making great strides as well. The 1979 Chevrolet Corvette is one such car as it arrived during yet another year of firsts for Chevy. In the detailed guide below, you’ll find out all about how the 1979 Chevrolet Corvette made its mark on the automotive industry and set new standards. In addition, we’ll go over some of its most popular features, where to find parts, and the kinds of changes and enhancements Corvette fans enjoy adding to the car. The company produced the 1979 Chevrolet Corvette at a time when production demands were already reaching an unprecedented rate. Factory workers put in long hours, often working some Saturdays, with the plant operating at least 18 hours a day on most weekdays. Demand for the Corvette rose almost 30 percent in 1979 thanks to the popularity of the Silver Anniversary and Pace Car editions of the car during the previous year. Meeting these new demands was hard, long work for Chevy, but they were more than up to the task and eager to see what was on the horizon. The rising popularity of the 1979 Chevrolet Corvette was not the only record for that year. Chevy was able to make two additional benchmarks for 1979—producing over 50,000 units and increasing the base price of the car to over $10,000. This increase in price was well worth it to most fans, however. Chevrolet was not only making further refinements to their 1979 model but changing luxury add-ons such as power windows and air conditioning to standard options. Most Corvette owners of that era paid for all of these options and it was a welcome gesture that they were now standard. The design team made some subtle refinements to the 1979 Chevrolet Corvette’s overall look, although the fastback design the company introduced in their 1978 model remained. Mechanically, the engineers at Chevy improved the 1979’s horsepower, shock absorption rates, and air intake. Although the design of the 1978 car carried over to the 1979 Chevrolet Corvette, the new vehicle arrived with some welcome aesthetic and mechanical changes, nonetheless. The Chevy company realized that despite the C3 line being more popular than they could have imagined, some critics would start to wonder when the C4 lineup would appear. They decided to make fans happy and assuage critics at the same time by bringing upgrades to the 1979 iteration while retaining a style they knew would sell. Corvette enthusiasts were quite happy with the power output on the car’s basic L48 engine as well as its optional L82 counterpart. However, Chevy was not content to rest on its laurels, so the engineers coaxed an extra 5 horsepower out of the existing engines. They did so by changing the design of the muffler to one that was more open than previous models. This new muffler, along with a less restrictive air intake setup, allowed both engine blocks to push the limits of their horsepower further than before. The basic engine could now get up to 195-horsepower, while the optional L82 could go as high as 225-horsepower. In past Corvette designs, shock absorption rates varied depending on whether a customer chose manual or automatic transmission in their car. Critics had long held that driveability and comfort on the road were always lacking in a luxury car like the Corvette. Although driveability would continue to be something of an issue for the company in the future, they still listened to these concerns. To enhance the smoothness of the ride for the 1979 Chevrolet Corvette, Chevy provided standard shock absorbers to each transmission type for the car. The seats for the 1979 Corvette are probably the interior items that went through the biggest changes. The high-back seats were more comfortable and used enough plastic that they reduced the 1979’s weight by about 12 pounds. These seats folded at a high point to allow passengers easier access to storage. In this day and age, online forums are some of the best places to get help and support for all things Corvette. They are quick and easy to access and full of helpful, knowledgeable members. If you own a 1979 Chevrolet Corvette or have any questions about the model, places like the Corvette Forum will likely have all the information you need. Some members are enthusiasts while others are also mechanics that can offer technical advice. The physical changes to the appearance of the 1979 Chevrolet Corvette from the previous year, particularly its exterior, were minimal. As you might expect, this means owners of the 1979 model are eager to add their own touches and customization options to the car. 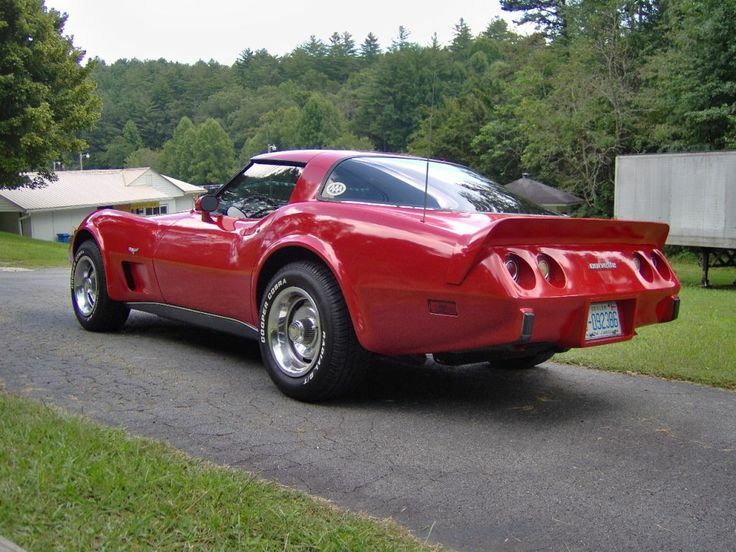 Online dealerships are some of the best places to start if you’re looking to personalize your 1979 Chevrolet Corvette. Shops such as Zip-Corvette.com and Eckler’s Corvette.com have dedicated themselves to nothing but the various iterations of the iconic vehicle. 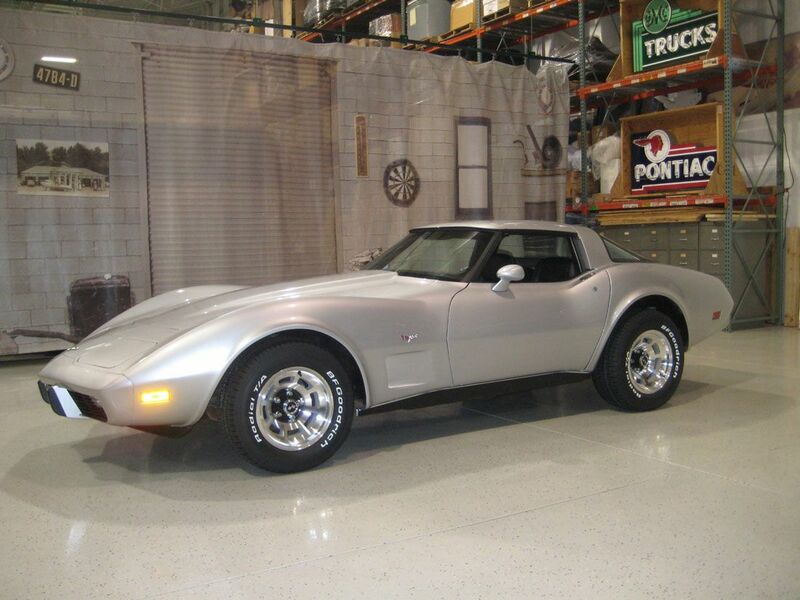 Body mounts, custom paneling, and hood components can help you make your 1979 Chevrolet Corvette stand out from the crowd. The lack of obvious changes to the 1979 Chevrolet Corvette did not hurt its sales record one bit. Fans remembered the 1978 version fondly and were eager to see what the next year would bring. The car was still a major contender in both European and Asian luxury sports car markets and easily held its own on those fronts. In terms of production numbers alone, the 1979 Chevrolet Corvette still holds the honor of being the best-selling Corvette in the history of the company. If you own a 1979 Chevrolet Corvette and would like to share your stories, please leave a comment in the section below. The C7 Corvette And Ten Things That Make 2017 Awesome!